Once again, I was lucky enough to play with some pre-release fabric and oh my dear, I adore it! 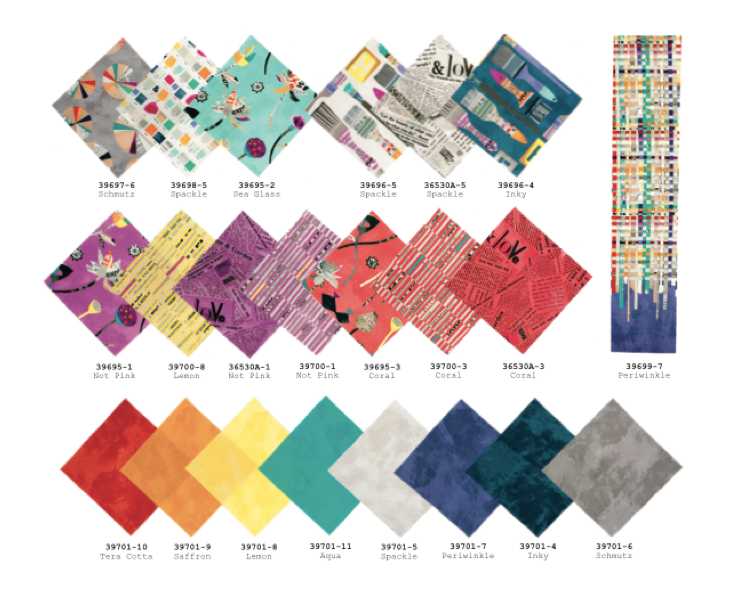 This here is SUCH Design's second collection for Windham Fabrics, "PAINT". Thoughtfully and playfully designed, Carrie Bloomston has done it again. The texture of her painted solids are rich and dreamy, the text prints are tasteful and inspiring. I got mad love for this collection. I adapted a pattern called 'Sorbet Mini Quilt' by Katie Clark Blakesley from the book Vintage Quilt Revival to make this quilt. I was really happy with the results, lots of pop, just enough neutral. Win-win. I did some heavy-duty, double grid quilting on this little guy, mainly because I didn't want to be finished with it. If you'd like to play with some of this fabric yourself, leave a comment on this post to enter to win a charm pack of 'PAINT.' I will choose a winner Friday morning, April 18th. The PAINT giveaway is now closed. Thanks for entering! Super cute! I would love to work on a quilt with this alongside my MIL. That is really lovely! I don't know how far you went from the original but yours is really great. Nice balance of colours. Gorgeous quilt. I am always so impressed with your perfect HSTs, I really need to practice a lot more in the hope of coming close to this level. I'm so excited to see the text print in a new colour way! The whole collection looks amazing, I adore your quilt! Gorgeous! I love the colors. This looks so beautiful as you've used it. I'd love to have a try! Beautiful and fun - great pattern choice for those yummy fabrics!! Erica I love your quilt. 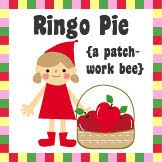 It is my all time favorite quilt block. I am so looking forward to this collection hitting the shops. 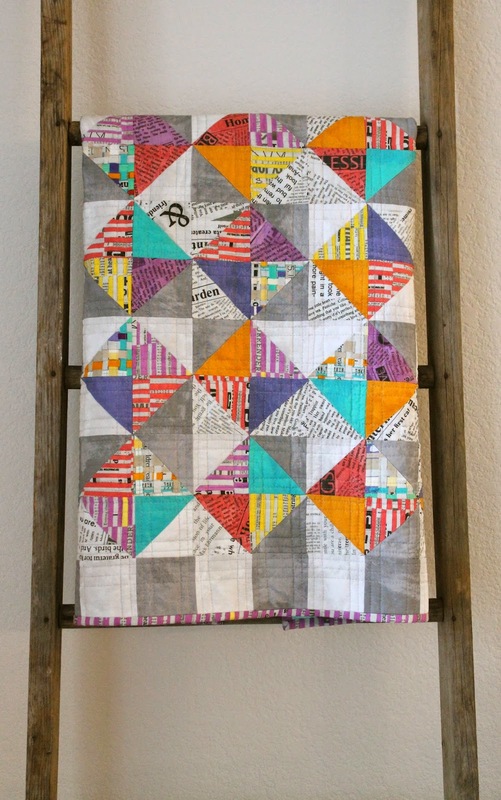 I loved Collage and know I am going to love Paint every bit as much, it looks fab in the beautiful quilt that you made. I like the use of the distinctive material for the binding. Great job. Love the fabric and am just thinking what to make with it should i be lucky enough to win. 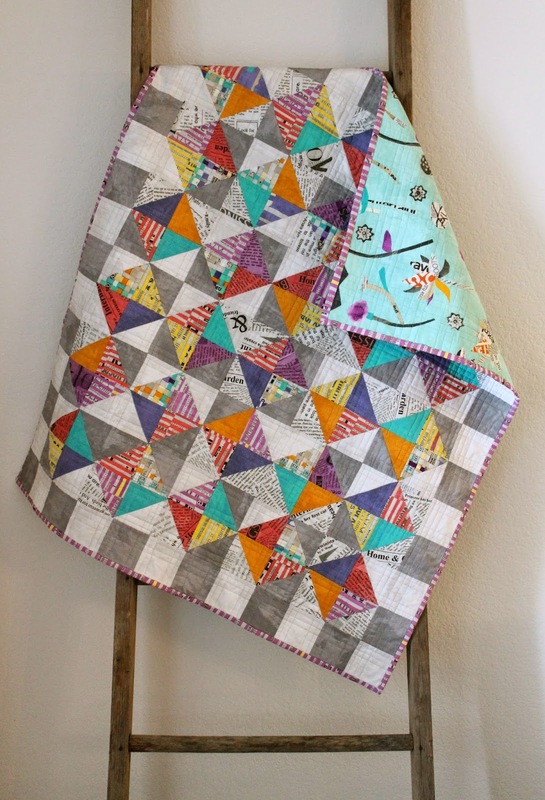 Paula K.
Wow, cute quilt, love the fabric! such a lovely range - and the quilt you have made is stunning. Beautiful fabric and beautiful quilt. thanks for the opportunity! Great colors! I love that there is so many solids to play with next to the bright colors. Thanks for highlighting this new fabric range - I particularly love the paintbrushes! I love this quilt - fabulous! This is such fun fabric! Ooooh! I like this very much!! Thanks for sharing!! Lovely. Your posts are always inspiring. First time visiting your blog. Beautiful quilts and this is such cute fabric. Such pretty fabric! I love what you did with it!! Love love love these colors and prints, one never has enough fabric! This quilt is gorgeous. Thanks for the chance! I'm always interested in looking at your quilts. I love the way you work the simple designs in such a wonderful and with this new fabric, you've done it again. I'd love the chance to play with this fabric. thank you. What a great collection, it's calling my name. Just love what you made! The colors in this line are great. Gorgeous I love it!! Pretty fabrics.. Thanks for the chance to win.. Such pretty fabric, can't wait to see it in stores, but winning this would be amazing! what a beautiful quilt! I'd love to win. happy to find your blog too! That's a perfect quilt! Thanks for a chance to win some to play with myself! Gorgeous quilt! I'm loving this new fabric line. It has such fun colors! I love your quilt! It is so happy. Thanks! I'd love to get a charm pack of this! I loved Collage and this looks right along the same lines. Your quilt is fabulous as usual. thanks! I have to agree with Rosa ... your quilt is really stunning. I love the ladder you display it on too. I have a pile of fabric from Carrie's last collection. Carrie is a lovely person,and I just love the colors she brings to life in her designs. I like the way scale of the quilt. I might try a similar design! I love your quilt! This is the perfect pattern to showcase this delightful fabric line! I love the combination of bright colors and text. Thanks for the chance to win. 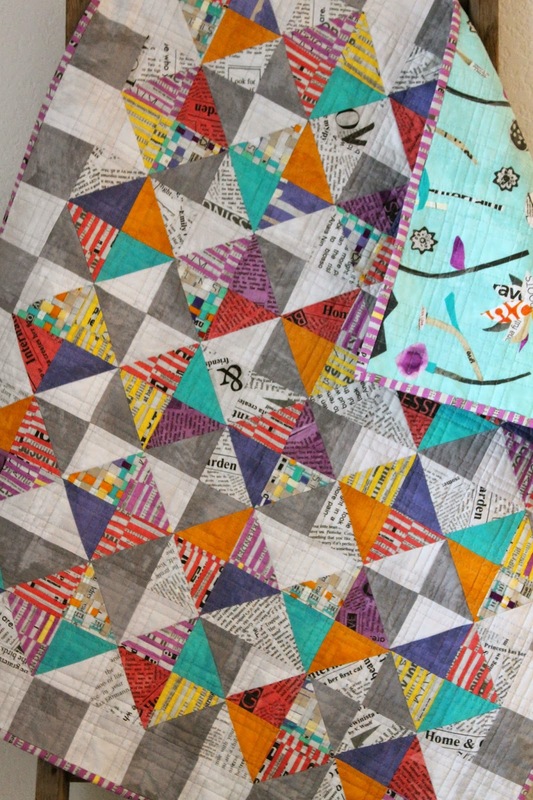 Great quilt, great fabric, would love to win some. I love the Collage collection and I am looking forward to designing with this collection. Your quilt is delightful. I like the way you used the neutral, which is something I am trying to master! Thanks. I'd definitely love to play! I'd make a small lap quilt. Loving the blog hop. What an amazing and thoughtful artist Miss Carrie is!!! So excited for her 2nd line to hit the stores!! This line is genius! I haven't fallen for a fabric line so hard since, well, Collage! Beautiful quilt! I really like the fabric with the text on it. I love the pattern you used for this line. It really shows off the fabrics. I absolutely love your quilts. This one is no exception. These fabrics are just the best. this is a wonderful quilt! I'd love some Paint to play with too! Beautiful quilt with an amazing fabric collection. I'd love to win some Paint! Thanks. carrie has created the best gray 'solid' fabric ever! i love this line!! You chose an excellent pattern to feature this line of fabric. It really makes me want to buy Paint. Love how you incorporated the neutrals--really makes the fabrics pop! Love what you have done with PAINT. Thanks for participating. I would love to play with her second line of fabric, I adored her first. I love this new line. It's as cool as the first one. Your quilt is awesome as always. Nice job! I love all the quilts you make. So simple and beautiful. This has been such a great blog hop - great fabric line & great projects - including yours - thanks for sharing. Great manipulation of the fabric and simple shapes to create a beautiful complex design. I love fabric, and these are some lovely colors! This collection makes me want to have fun with it. Love it & (of course) would love to win! I really love this fabric line. 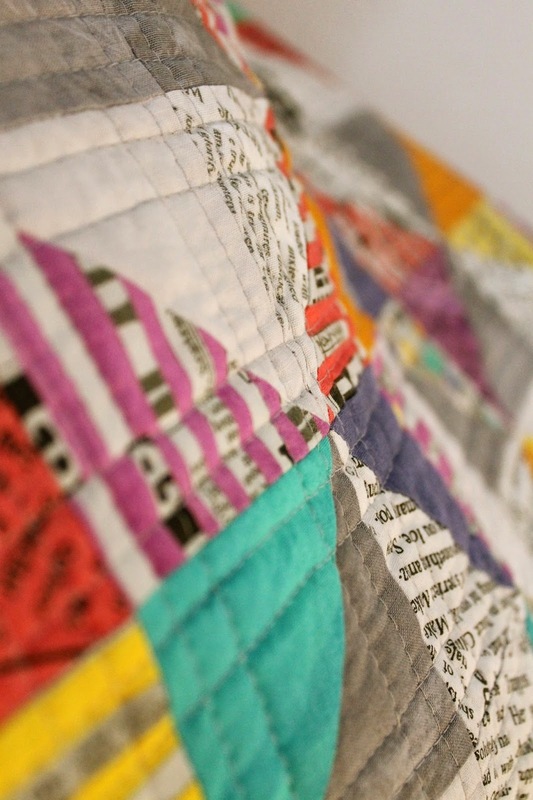 Always love your quilts...and this is no exception! Wonderful color balance as always...beautiful!!! love it! looks like a great line. I love your quilt...had not thought of using the grays as contrast...great use of the fabric! I just love Paint and your quilt is amazing! Thanks for the chance. I love paint and your quilt is stunning! Those soft grays are the perfect backdrop for the rich brights! What great fabric for this sweet quilt. What a fab quilt! I love the colours. I loved this quilt in the book and your version in Paint is wonderful!! thanks for a chance to win! This quilt is just perfect! That Paint fabric just makes every project pop. I come from a family of artists, so I can think of numerous folks who could use a quilt with this fabric! This is my favorite of all the upcoming fabric collections. The colors and patterns are absolutely perfect. I like the contrast between white/grey an colors. Wonderful.